In sheet metal models, generally various types of cutouts are used. Even holes are special type of cutouts. There are different types of cutouts such as Internal cutouts, External cutouts, Multiface cutouts. Typical examples are shown in the figure below. 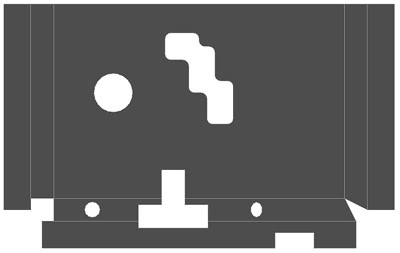 Internal cutouts are those which lie completely in a single plane. 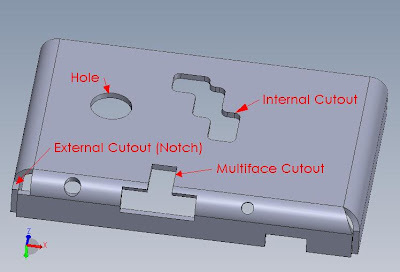 External cutouts are generally referred as notches and these cutouts lie along the boundary. 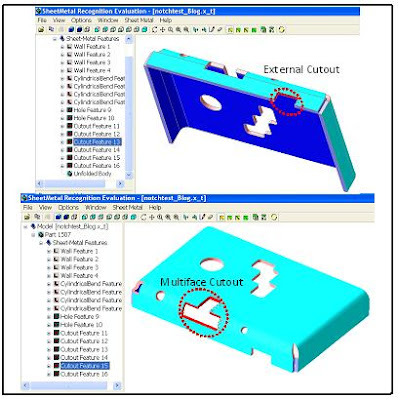 Multiface cutouts spread across multiple faces as shown in the figure below. 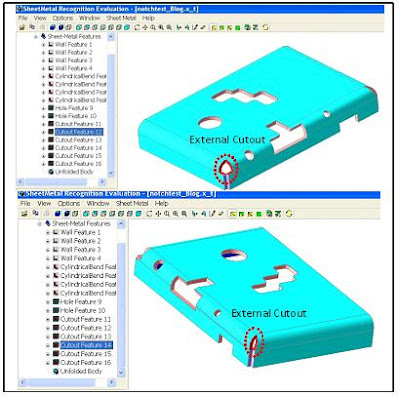 Sheet Metal FR identifies all these features and even gives flat patterns as shown below.